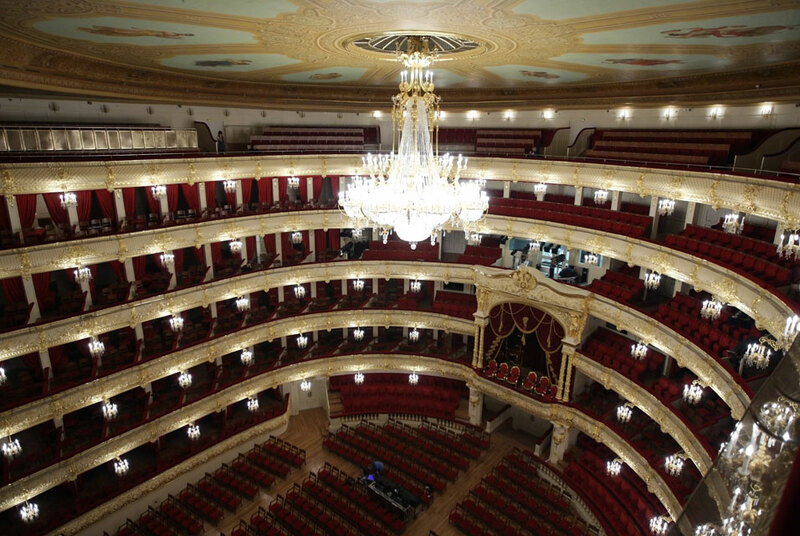 The Bolshoi Theater in Moscow, the historic center of Russian ballet, reopened Oct 28th after undergoing 6 years of renovation. A gala performance was held to celebrate the occasion which included an entirely Russian program with Russian performers. The honored guests of the evening included President Dmitri Medvedev. In total, $700 million was spent to meticulously restore the historic theater. As a result of the renovation, the artists’ dressing space has been increased, the acoustics have been fine-tuned and improved technology has been incorporated into the theater mechanics. At the same time, original art and architectural elements ranging from stucco work to door handles have been restored to their original 19th-century appearance having been removed in Communist era revisions. Below are images from the reopening while more images of the renovations can be found on the Theater’s website. Russia is a trip I hope to take some day – starting in Moscow and working my way through the countryside to St. Petersburg. 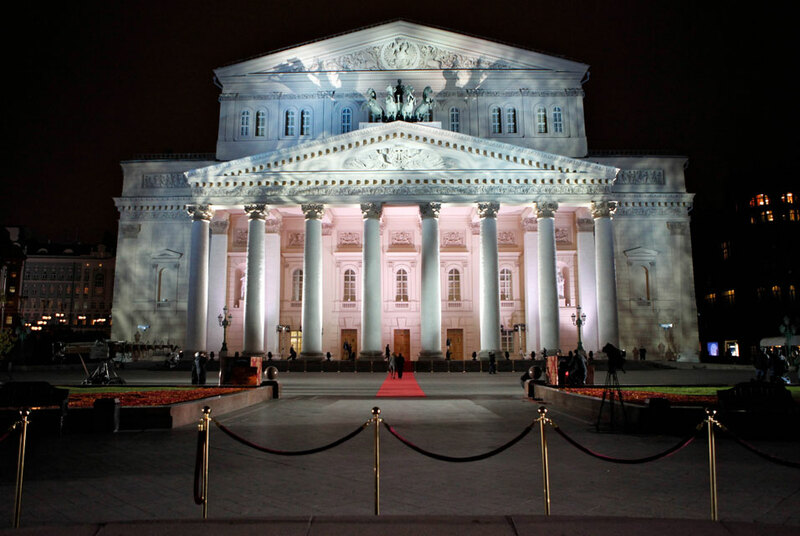 Capping off my perfect day in Moscow, with any luck, will be a performance at the Bolshoi. 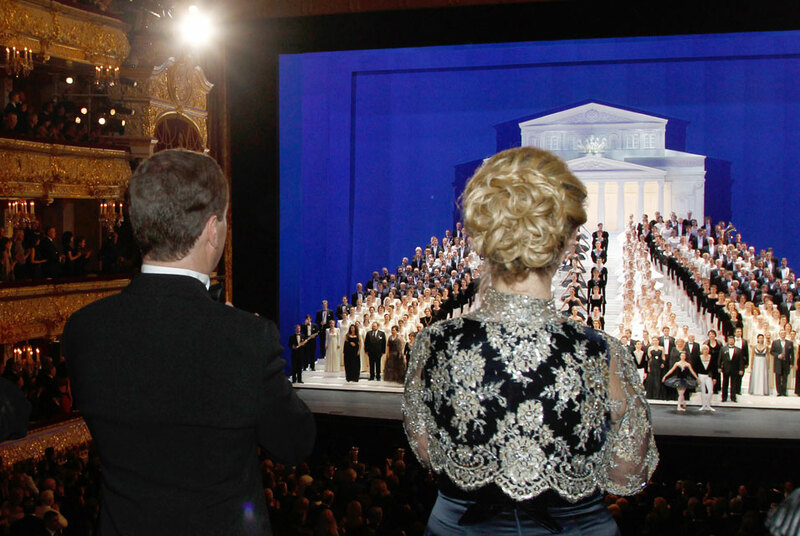 There is something so appealing about the great European opera houses. Aside from the elegant styling of the interior art, the opulent surroundings hearken back to an age where being seen at the theater was a quintessential social event. Performances are also guaranteed to feature world-class talent. 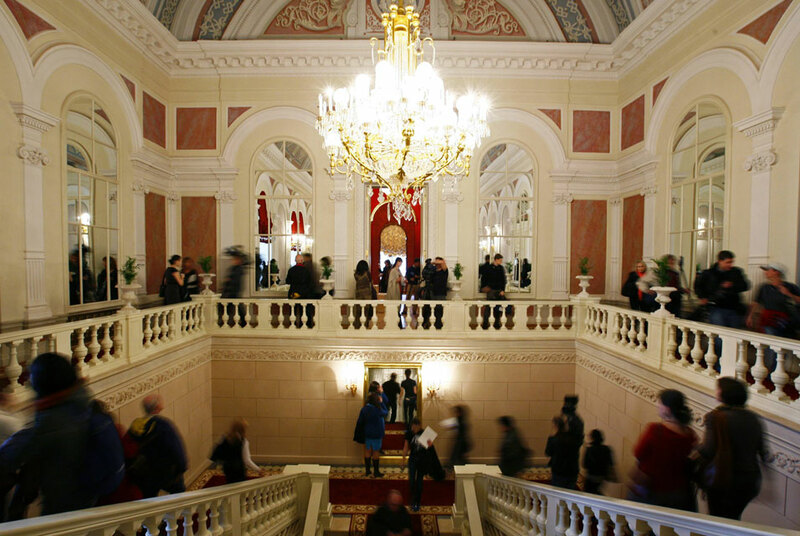 Where else, for instance, would you go to see the best ballet in the world other than the Bolshoi? Thankfully the Theater has been fully restored and can resume performances in its traditional home.